The vineyard of Irouleguy is situated at the heart of the Basque Country, in the province of Lower Navarre, it spreads across 220 hectares (approx 550 Acres) and is cultivated by around fifty winemakers, on ten districts around Saint Etienne de Baïgorry and Saint Jean Pied de Port. The vineyard is situated on the south of steep mountains, to an altitude of between 200 metres and 450 metres. Due to the steep slopes, which can reach up to 80%, the two thirds of the vineyard is cultivated on terraces. 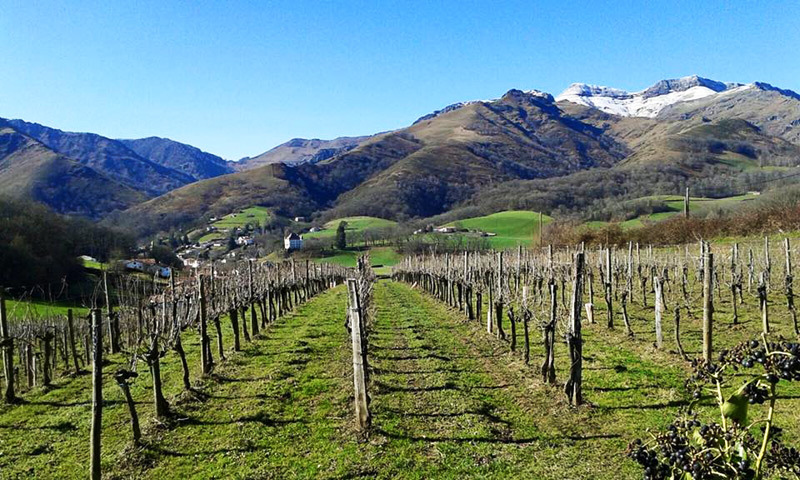 Mountains blocking the north winds shelter the vineyard, which have a microclimate characterised by an autumn of a rare beauty thanks to the influence of the south winds which help mature the grapes. 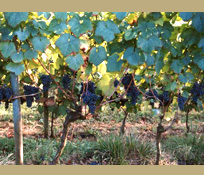 The total production of the vineyard is around one million bottles per year. 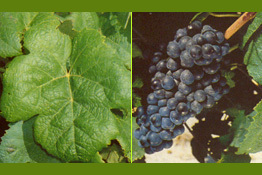 Black grape varieties: Tannat, Cabernet Franc and Cabernet Sauvignon. 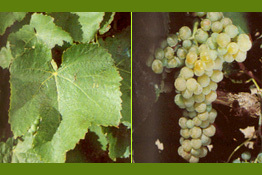 White grape varieties: Gros Manseng, Petit Manseng and Courbu. The “Appellation” (a legally defined and protected geographical indication used to identify where the grapes for a wine were grown) area that was declared suitable to produce the Irouleguy wine was determined land parcel by land parcel. It represents just over 1200 ha (approx. 3,000 acres), spreading across 15 communities: Anhaux, Aincille, Ascarat, Bidarray, Bussunarits-Sarrasquette,Bustince-Iriberry, Irouleguy, Ispoure, Jaxu, Lasse, Lecumberry, Ossès, St Etienne de Baigorry, St Jean le Vieux and St Martin d’Arros. 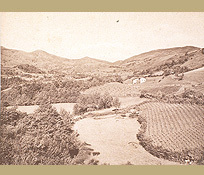 During the Roman occupation, the viticulture appeared in the Basque Country, the word "Migna" ("vine" in Basque Language) emerged in the third century. 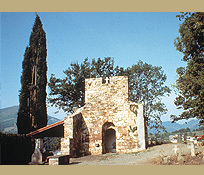 During the 12th century, the monks of the Roncevaux Abbaye created a vineyard around the priories of Irouleguy and Anhaux. The wine brought some comfort to the pilgrims on their way to Santiago de Compostela. From the 15th century and under the Vicomte d’Urdos, the vineyard of Irouleguy developed rapidly. 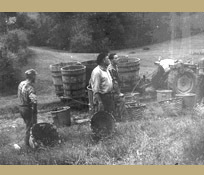 Around 1850, the vineyard was producing enough for the entire working population of the Bassin. The Irouleguy wine was also exported from the Bayonne Harbour to Germany, England and the Netherlands. At the beginning of the 20th century, in the counties of Saint Jean Pied de Port and Saint Etienne de Baigorry, the vineyard was spreading across 1,700 ha (approx 4,200 acres). Unfortunately, the phylloxera (a microscopic louse that lives on and eats roots of grapes), the halt of mining activities, and the lack of workforce for the harvest after the First World War, extensively reduced the vineyards. However, the reputation of the wine remained undamaged and it appeared on one of the reception menus of the Président Poincaré (1913 to 1920) and in 1922 in the book "La France Gastronomique", by the writer and gastronome Curnonsky. The first “syndicat de défense des vins” (Protective Wine Association) of Irouleguy was created on 17th December 1945 on the communes of St Etienne de Baigorry, Anhaux and Irouleguy. It acquires the mention "appellation Irouleguy", already used since few years by few wine producers of this commune. This step was the beginning of the revival of the vineyard followed by a further step in 1952, with the creation of the Irouleguy Wine Cellar. The Irouleguy wines obtained the Appellation Vin délimité de qualité supérieure VDQS (Wine of Superior Quality) the 23rd January 1953. In September 1963, the geographical area of the Irouleguy wines were extended to a further 6 communes. On 29th October 1970, the Irouleguy wines elevated to the Appellation d’Origine Controlée (controlled designation of origin). Thanks to this label and the tireless work of the wine growers, the success of the Irouleguy wines increased. Between 1980 and 1995, a new generation took over, and the plantation areas tripled, reviving the steep hillsides of Jara and Arradoy with terraced vineyards. A new extension of the Appellation area took place in 1995, with the inclusion of 6 additional communes, making the appellation area as it stands today. Since then, the plantation of new areas has progressed at a more gentle pace, leaving time for the appellation to consolidate its position in the French and International viticulture landscape. This grape variety, which has been present for many centuries in the vineyard can be found pretty much everywhere in France and in the world, is characterised by its dark green finely indented leaves, and its small grapes. Not very productive this grape variety makes a fine and distinguished wine, characterised by its red berries and hay aromas. Its Basque name is due to it being appreciated by the animals. The Cabernet Sauvignon is a recent addition to the Irouleguy vineyard, this grape variety is popular in France and worldwide. Its late harvesting and its low productivity makes it a minor grape variety in this appellation. The Cabernet Sauvignon is very close to the Cabernet Franc, this grape variety, which is very rich, brings at once structure and volume to the wines, with some blackcurrant aromas and at times pepper. is specific to the far southwest of France. 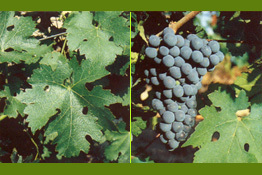 The Tannat represents the majority of the appellation black grapes in this area; despite its thin skin which makes it susceptible to disease. Its large slightly embossed leaves and its long grapes make it easy to identify. Its production has been quite steady; it has given structure and characters to the Irouleguy wines, a generally high degree in alcohol and a possibility for maturation. It brings red and black fruit aromas, flowers, and sometimes a tiny taste of coffee and liquorice after few years of the ageing process. 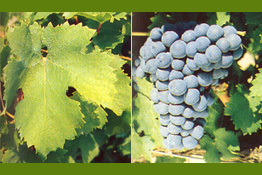 This grape variety, which has been present for many centuries in the vineyard is typical of the far southwest France. 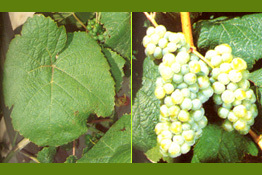 It represents the major part of the appellation area of the white grapes. Its leaves are without any pronounced indentation with loose bunch and small grapes, bringing freshness, richness and a distinctive citrus aromas to the wine. 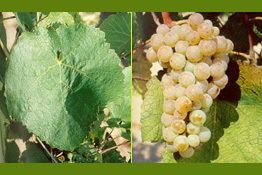 This grape variety, which has been present for many centuries in the vineyard of the southwest, is nearly exclusively in the appellations of Jurançon, Pacherenc du Vic-Bilh and Irouleguy, it has a similar appearance to its cousin the Gros Manseng, but can be differentiated by its bunches and by the grapes being smaller, and also by a much weaker yield. This grape variety has the last harvest of the Irouleguy appellation, it is one of the richest which brings a lot of volume, and alcoholic degrees to the wines, with exotic fruits, peach and acacia aromas. Although present in the vineyard for many centuries, this grape variety is less popular in this appellation and it is hard to find it in other areas of France. As explained in its Basque name, it has tight bunch of grapes, which are ripe well before the other white grape variety and at the same time as the red grape varieties. This grape variety that is very fragile, is of interest, bringing delicacy and smoothness to the wines, with some mineral aromas. The Irouleguy vineyard is one of the smallest in France, composed by small parcels of lands, established on the steep hillsides and very often as terraced vineyards. The vines are cultivated by training vines on wires; this avoids the risks of spring frost… It is still possible to find some rare trellised vines which were popular before. The guyot pruning system either simple or double is used. The yeild of the vineyard is low. The appellation decree authorize the yield of 50 hectolitres per hectare (6,500 bottles) in red and in rosé, and 55 hectolitres per hectare in white (7,000 bottles), but the average level of yeild is around 40 hectolitres (5000 bottles) per hectare (approx. 2,5 acre), and barely make 30 hectolitres per hectare (4,000 bottles) on certain years. Thanks to the microclimate, the characteristics of the vineyard and the originality of the grape varieties, the Irouleguy wines have a robust character, simultaneously rich and generous. The rosés and the white, combine perfume and freshness, the reds need time to convert their tannins into aromas such as berries, liquorice or violet. Due to a low production and the care provided by the wine growers the Irouleguy wines are often awarded, either by the professional press or during French and International competitions. 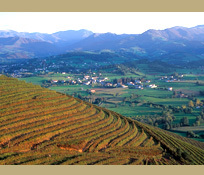 The Irouleguy vineyard is not the only wine producing areainthe Basque Country. In Ciboure Socoa, discover a rare wine with unique aromas from the Basque Coast vines. Indeed, Emanuel Poirmeur,the pioneer of ocean aged winesin the Basque Country and in the whole world, planted two hectares of its vineyard between the Pyrenean Mountains and the Atlantic Ocean, on the hill top of Urrugne. The originality of this wine,called Egiategia, is that it has been aged, partly, under water. Emanuel Poirmeur has, indeed, discovered a new process of wine making combining the underwater pressure, the obscurity, the thermal inertia and the variations of the tides. All these factors allowed the creation of new flavours, new unique and different aromas of wines produced only on this land. The tanks are immerged at fifteen metres depth, in the bay of Saint-Jean-de-Luz-Ciboure. The vines of Chardonnay adapt perfectly to the microclimate of this region of the Basque Country. The wineryis implanted in the harbour area of Socoa. It is possible to visit it from Tuesday to Saturday. Plunge in the heart of this abnormal vineyard while savouring a good glass of wine. Several varieties are offered to the visitors, either white, rosés or red wines which aromatic profiles are as different as originals.